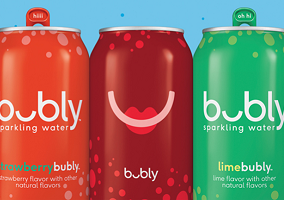 PepsiCo, the soft drinks and snack foods giant, has announced a further investment in the packaged water category with the launch of Bubly, a new brand of flavoured sparkling drinks. Bubly “combines refreshing and delicious flavors with an upbeat and playful sense of humor […] while keeping it real with no artificial flavors, no sweeteners, and no calories”, PepsiCo said in a statement. 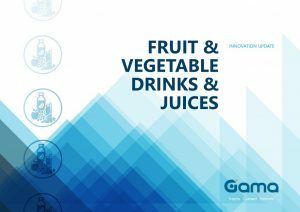 Commenting on the launch, Todd Kaplan, vice president, Water Portfolio – PepsiCo North America Beverages, said: “When we looked at the sparkling water category, we saw an opportunity to innovate from within by building a new brand and product from the ground up to meet consumer needs. We created bubly to provide consumers with a great-tasting, flavorful, unsweetened sparkling water in a fun, playful, and relevant manner that is unlike anything we’ve seen in the sparkling water category today”. Bubly Sparkling Water comes in lime, grapefruit, strawberry, lemon, orange, apple, mango and cherry flavours, sold in “bright, bold” cans that feature a “witty greeting” on the tab and “personal messages” on the side of the pack. PepsiCo said that the launch of Bubly was in line with a company goal to ensure that at least two-thirds of its global beverage portfolio volume had 100 calories or fewer from added sugars per 12oz serving by 2025.